"I can accept failure, everyone fails at something, but I cannot accept not trying," is a quote that inspires senior, Brayden Johnston. Brayden Duane Johnston is the son of Rick Johnston and Katy Iles. Throughout high school, Brayden has participated in basketball for two years, cross country for two years, and robotics one year. Brayden enjoyed the activities he participated in but set them aside to focus on his school work. Brayden still enjoys playing basketball outside of school. Another activity Brayden likes to do outside of school is hunt and fish. Brayden loves when the weather is nice, and he can spend his time outside doing those things. 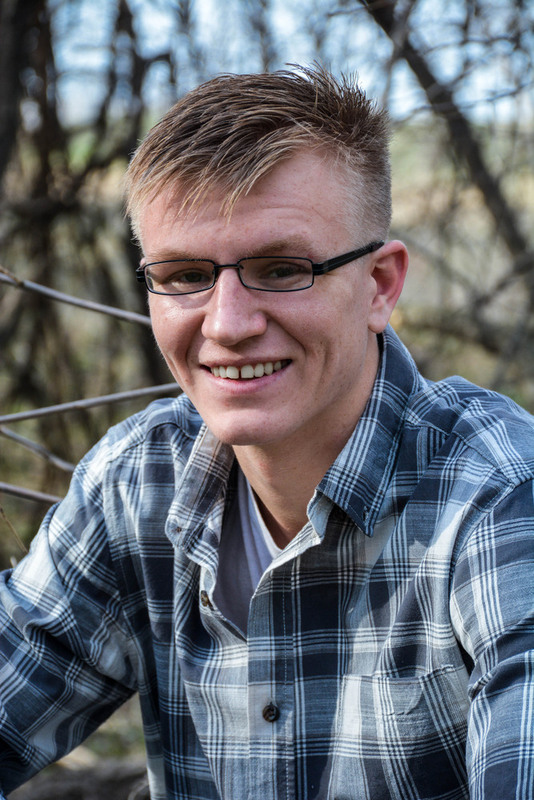 Brayden's senior service project revolves around his love for the outdoors. Brayden gives service by painting signs and picking up trash for Kansas Wildlife and Parks Department. This helps hunters and fisherman avoid trash and enjoy their experience. One of the accomplishments that Brayden is most proud of is winning state baseball during the summer when he played for Concordia at the age of 16. Brayden is also very proud of the fact that despite hard times, he is finishing high school and graduating in May. Brayden could not have done this without the people who have encouraged him and supported him. One of those who has influenced Brayden the most throughout high school is Koty Holmes. Koty influenced him by giving advice about life and always being there for him. Brayden never giving up is just one of the qualities people like about him. Brayden is also extremely funny and has always found a way to make his classmates laugh. Brayden has always had a fun personality and made anything he was a part of interesting. One thing that makes Brayden different from others is the fact that he strongly dislikes all vegetables and doesn't like Chinese food either. Most people also don’t know that Brayden is a terrible cook, "Believe it or not, I messed up Mac & Cheese," said Brayden. In the future, Brayden wants to own a mansion. Brayden plans on working after high school to accomplish this goal. When Brayden leaves high school, he wants people to remember his determination and how he never gave up, even when things got hard.